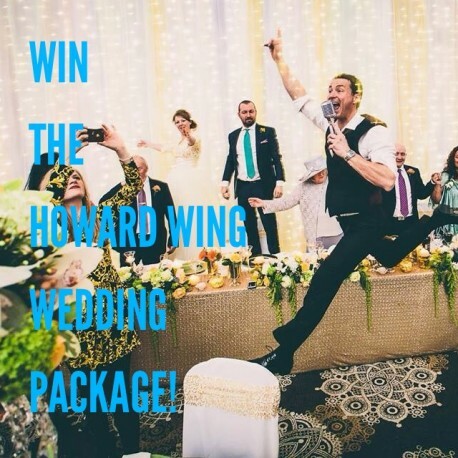 I’m giving the chance for you to get your very own, Howard Wing unique wedding entertainment package ABSOLUTELY FREE! I’m holding nothing back, you’ll get the full treatment absolutely free! This is the first ever competition I’ve done on Facebook, I may as well make it a BIG ONE! FULL DAY AND NIGHT HOSTING. Music till the very end of your wedding, quality pa and lighting. A MASSIVE PRIZE WORTH OVER £2500!! LIKE THIS POST ON THE HOWARD WING PAGE.. COMMENT ON THE POST WITH YOUR EMAIL ADDRESS..
SHARE THIS POST ON YOUR TIMELINE..
All the email address will be added to a list, and the winner will be randomly selected when my page hits exactly 4000 likes.. The winner will contacted directly by me and announced on my Facebook page and on the post..
TAKE NOTE: This doesn’t exclude any of the bride and grooms that have already booked me for their wedding.. IMPORTANT: This offer is subject to my availability on your wedding date, if you win and I’m not available on your date, another draw will be made.